Over the past few days I've been able to see Gaurdians of the Galaxy twice and cath the limited screening of Dragonball Z: Battle of Gods. Both were incredibly fun to watch and and I'd happily dish out the money to see them again. There isn't too much to nitpick about either movie. 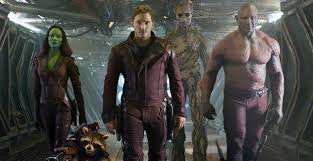 The biggest things in Guardians that stood out to me was the lack of developing Gamora and Drax being more powered down than I thought he would be. Drax at one point could go punch for punch with Thor, had flight and could shoot energy blasts. Drax's power and skill set has been altered a few times throughout his history. Although I like the more powerful Drax, the changes the character has seen have been fine and fit the stories being told. I was just really hoping to see the throwdown between Drax and Ronan to be at least somewhat even. Outside of that Dave Bautista did a wonderful job playing the character. In regards to Gamora, they really didn't do anything to get you into the character. She's tired of killing, she's tired of being around Thanos and wants to get away from it all. There is absolutely nothing there to show you the character's plight and so you have no attachement to the character in any way. Zoe Saldana played the character well, but there was nothing there storywise to give her any depth. 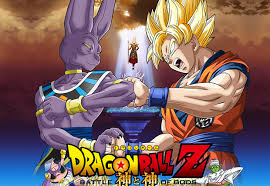 Battle of Gods is the first orginal DBZ film in about seventeen years. It takes place during the ten years of peace before Goku leaves to train Uub. Lord Beerus, the God of Destruction is awakened. The Kai's make Beerus out to be this horrible evil villain a thousand times worse than Freiza, Cell and Buu combined. However, you get no real sense that Beerus is in fact evil. Beerus is a deity, and like all deities he throws a tantrum when he doesn't get what he wants and so destroys whatever planets are in his way. It's how deities are portrayed in many stories. Like Goku, Beerus lives for finding opponents to challenge his fighting capabilities. You end up liking the guy right away. Goku, always training to bring himself to the next level, finally encounters an opponent that he cannot beat and concedes. Beerus and Goku part having a great deal of respect for each other and opens the door for Beerus to be a new ally and friend that Goku can call upon if needed. The movie was great, the comedy was well placed and organic, the action was solid and although some of the voice acting has been altered since DBZ was airing regularly on Cartoon Network, it was fine. Can't wait to get this on Blu-Ray. Big thank you to my co-hosts. my long time friends and brothers, John and Dave who treated me to these fine films. Anytime brudar, we are glad you had a good time.